﻿ Florida Snake Photograph 014 - I commonly find the Florida Ringneck Snake in people's homes. I commonly find the Florida Ringneck Snake in people's homes. DESCRIPTION: A small black snake with an orange belly and a yellow or orange ring around its neck. Snake enthusiasts are always looking for the most beautiful and rare of species to call their own. Of course there are the most common breeds such as pythons or boa constrictors, but there are also one-of-a-kind species such as the Florida ringneck snake. If you are going to choose a ringneck snake as a pet, it is imperative that you know something about the breed. Equipping an adequate home for your new pet is of vital importance if you want them to live a long and healthy life. Because of its size, a 10 gallon aquarium is usually suitable for housing your snake. However do not expect it to be active during the day. Ringnecks are nocturnal creatures, meaning they only come out at night. In the wild, they are commonly found under wood piles or leaves. Therefore try to simulate that in the aquarium by the bedding that you choose. Usually a mixture of peat moss, sand, and soil will do the trick. In addition, these animals enjoy a place to hide – providing a hiding place for it will ensure its happiness. The smaller varieties of ringneck snakes will feed mostly on earthworms and other invertebrates. 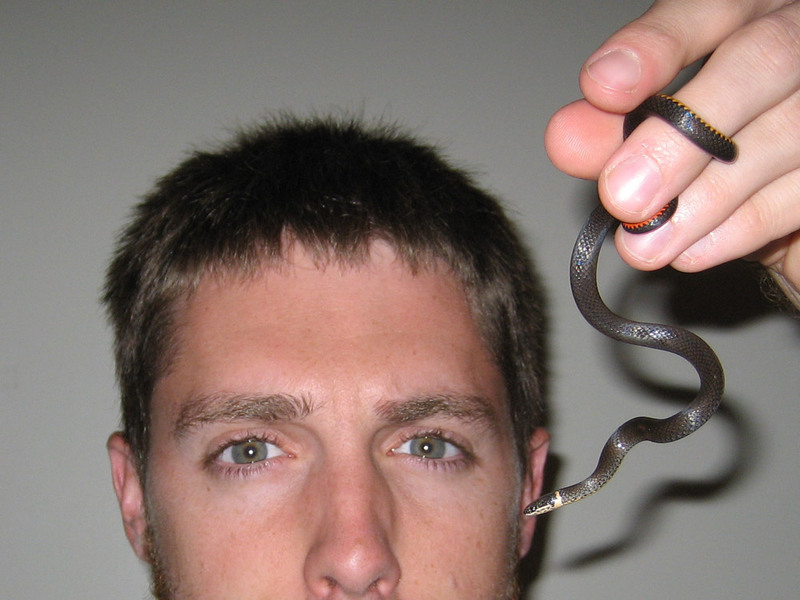 The larger varieties, those growing to 12 to 18 inches in length, can handle lizards or other small snakes.